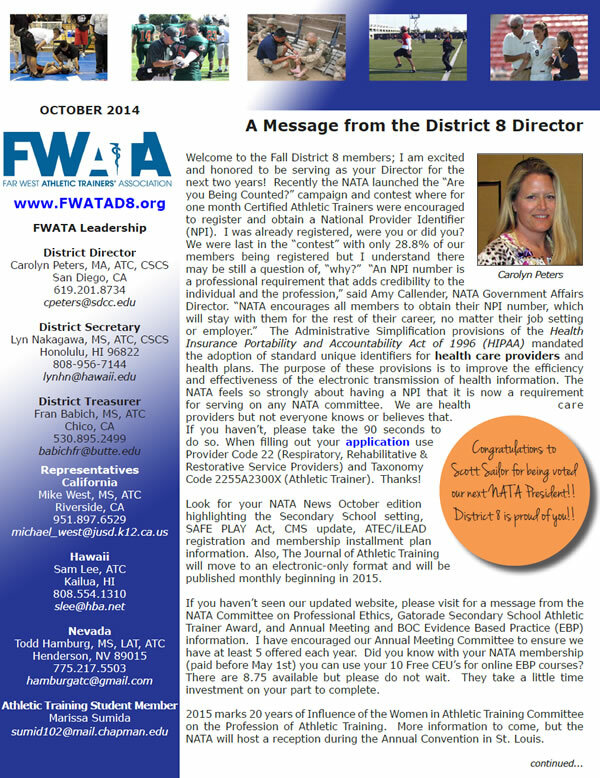 Click Here to view the Fall 2014 FWATA Newsletter. This electronic newsletter is published twice a year by the Far West Trainers’ Association for its members. For information contained in this newsletter or to submit articles or ideas please contact the FWATA Newsletter Editor and District 8 Secretary: Lyn Nakagawa, MA, ATC, CSCS at 808.956.7144 or email: lynhn@hawaii.edu.